What’s so great about The Dive Bus? What’s so great about a PADI 5 Star Dive Resort? Curacao is consistently rated one of the top dive locations in the Caribbean. With mild currents, tropical water temperatures, excellent visibility and enormous diversity of marine life, you’re going to love diving the best of Curacao. And, just like Bonaire, shore-diving is the way to go. The best of Curacao’s dive sites have easy, just-walk-into-the- clear- warm-blue-Caribbean-ocean entries, and short, easy, relaxing swim-outs to the beautiful fringing coral reef. Sure you can boat dive, but with shore diving there’s no sea-sickness from the boat ride, all the space you could want to gear up, no leaping into the ocean from a wobbly deck and no bouncy ladders to navigate / avoid on your exit. Instead of hasty, plummeting descents to the reef, descend in the shallows and follow the gentle gradient of the reef at a slow, relaxed pace. 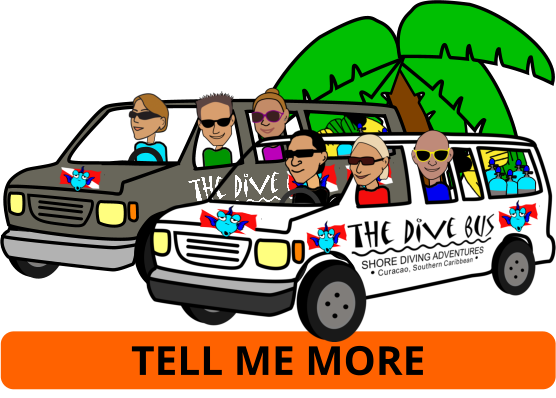 Which is is easier on your ears and your air consumption – guided shore dives with The Dive Bus Crew are typically longer than an average boat dive too (up to 60 mins, tank-willing). 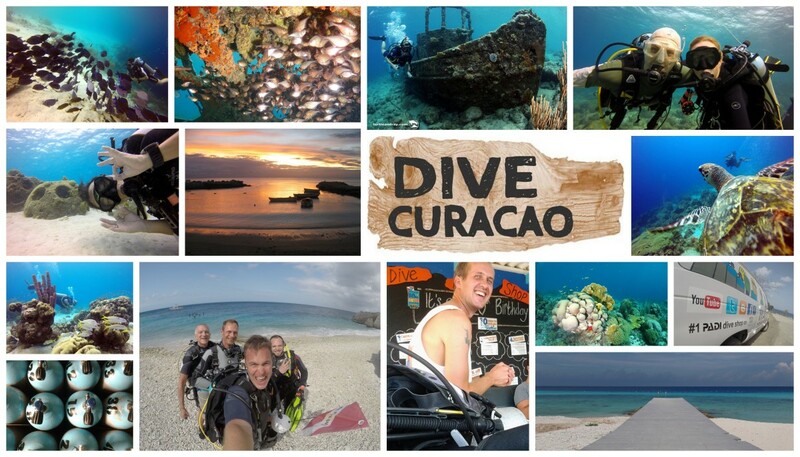 Shore diving in Curacao is altogether very civilized and relaxed indeed, and regardless your level of diving experience or certification, The Dive Bus Crew can’t wait to show you our amazing underwater world lying right off the beaches. But be warned: this could change your dive vacations for EVER! Email me each new Dive Bus Blog post! Email me each new Dive Bus Blog post. Already in Curacao? Swing by and say 'hi!' from 8.30am-ish to 4.30pm-ish most days. Got a quick question? Facebook message us. Drop us an email or click here for reservation enquiries.